The Map Database has many viewers and the Blog has numerous categories. 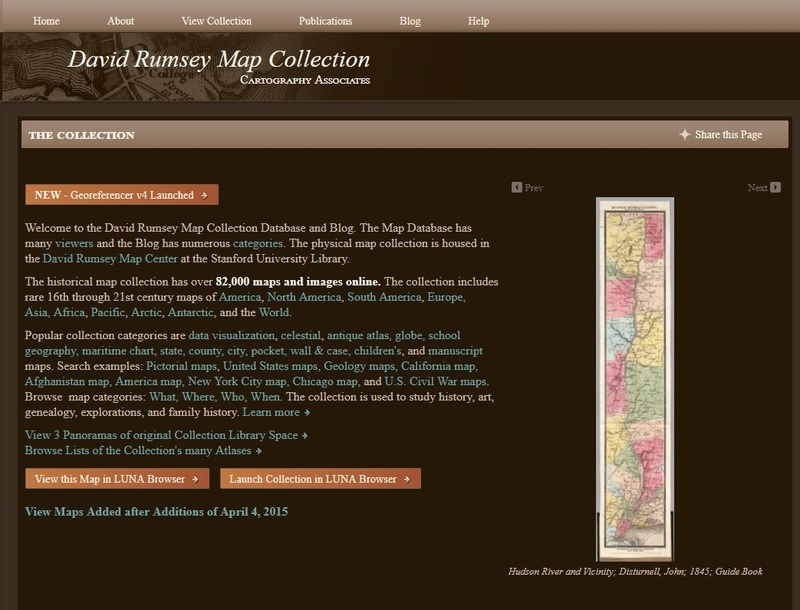 The physical map collection is housed in the David Rumsey Map Center at the Stanford University Library. The historical map collection has over 82,000 maps and images online. The collection includes rare 16th through 21st century maps of America, North America, South America, Europe,Asia, Africa, Pacific, Arctic, Antarctic, and the World.